Will you marry me? Vinyl Banner Does the Job! Easy Signs was contacted by Jo in late August to create a Vinyl Banner, but this was not to be just an ordinary vinyl banner or displayed in any ordinary way. Jo wanted to propose to the love of her life Damo in a very special way, she had organised with one of Damo’s bosses to have the proposal banner hung from a crane outside the mine he worked at. With our designers help we created a simple but to the point design that would be seen easily from afar and looked amazing. We heard some great news from Jo a few weeks back and after waiting the longest half an hour of her life for him to be surprised, Damo said YES! We wish Jo and her fiancé all the best in the future and were happy to be a part of making it all happen. If you have a great idea for a Vinyl Banner, check out our industry leading pricing and 24 hour production time! 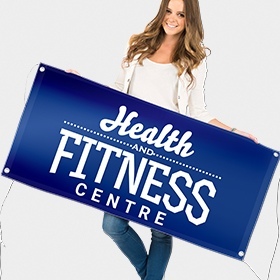 We even delivery your banner order to anywhere in Australia for only $14 inc GST. High Quality 510gsm Vinyl Banners with full colour digital print. Produced in just 24 hours and delivered anywhere in Australia for only $14 inc GST!